BUFFALO, N.Y. (WKBW) — Third time’s a charm for Buffalo-bred producer Jay “Keyz” Foye. He is half of the production duo that took home a GRAMMY award Sunday night for its hand in Cardi B’s best rap album win, after two prior nominations. The group AYO N KEYZ produced the “Bickenhead” track off her Invasion of Privacy album. 7 Eyewitness News spoke with producer Foye the morning after the win. Foye is a Sweet Home High School class of 2009 graduate. There he had his hand in a number of activities, including being a part of its state championship football team. 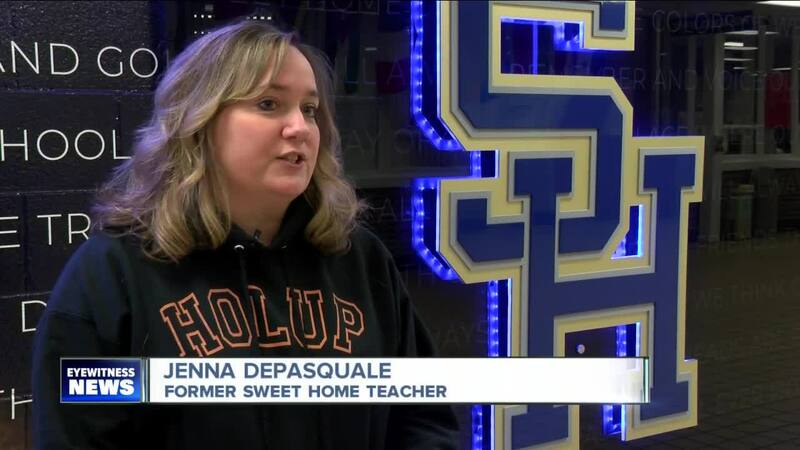 His former forensic science teacher Jenna DePasquale says she knew he would be great at whichever avenue he chose. His parents say that hard work was instilled in him when he started singing and playing instruments at 10 years old. He got his chops through the churches his grandmother and parents both brought him up through. And when he left for Atlanta after high school his mother asked for one thing: a degree. “My first big break was in 2012 I had a song called Let’s Talk with Omarion,” said Foye. That was right around his senior year of college. “He was going to quit because his career had taken off and I begged him to finish,” said his mother Phyllis Foye. AYO N KEYZ have been nominated for two GRAMMY awards before, so this time they were ready. Even if their track ending up on the album was a surprise. “I think she did the record and we didn’t know it. And she called us like a week before the album dropped, and they told us that this is the last record they’re putting on the album,” said Foye. The producer lives in Atlanta, but often comes back to visit his family and friends, and old stomping grounds. He is hoping to be back in the area in the coming weeks to celebrate with loved ones.